One might think a person I never met, who had fewer than thirty-six hours on this Earth, wouldn’t possess the ability to make a lasting impression. How wrong that would be. Miranda Jean was perfection swaddled in cotton. Her ten little fingers and ten petite toes were beautiful. She never spoke a word, nor uttered a cry, but she often speaks to my heart. Recently, when I wrote my last blog post about my birthday, I heard her. She gently reminded me of something I began to witness four years ago…shortly after she departed for her long-term residence in Heaven. I have been witness to great love—a love so big, it has been cast out into the world like a net. Miranda’s mother and father are two of the most amazing people I have the pleasure of knowing. I do not make that statement flippantly. As a mother of three, I will openly admit my greatest fear is the loss of one of my children. I watched Miranda’s parents live my greatest fear…live it and love through it. While I could spend thousands of words describing her mother and father and the many reasons they are special. They wouldn’t want me to. So I will spend my words telling of the net they’ve cast. Due to complications of a uterine rupture during labor and delivery, Miranda was born without a heartbeat. She was life-flighted for emergency treatment at a specialized facility, though by this point, Miranda had no brain activity. Her tiny body could not recover from the damage. After too few hours, she said a silent goodbye while wrapped in her parents’ arms. Her loss was…is…beyond the capacity of what I can put into words. The hole left in her mother’s heart, in her father’s heart…it will remain. But their love for Miranda, for her siblings, for each other, has allowed them to carry on. 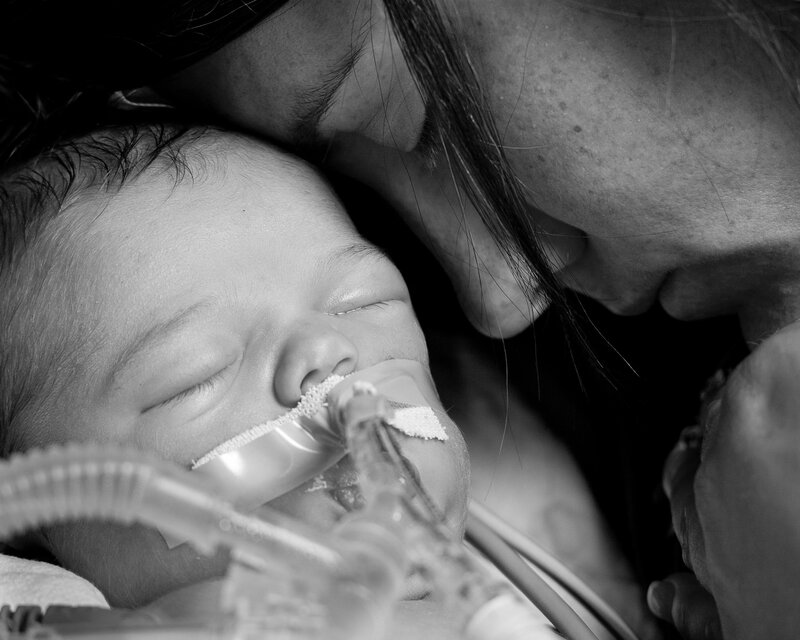 The Miranda Jean Rinn Memorial Fund was created as a way to show support for families going through similar situations. In four years, fifty-one families have been assisted through the unrestricted financial gifts the fund has provided. In June, a feature article was printed locally sharing Miranda’s story and promoting a 5K Color Run benefitting the fund. Turn out was exceptional. Miranda’s story, her family, and the community in which they live, continues to cast a net. The way I see it, nets are fascinating contraptions. They are woven. The more threads connected, the tighter the mesh. If woven tightly enough, a net can cover a hole and create a bandage capable of protecting a wound beneath. This is, as are all your posts, you beautiful tall mom, so touching. And so right…Miranda’s loss was the most difficult our family has gone through, but Mark and Jenn continue to make us so grateful and so proud with how they’ve use her short life as a beacon of hope and an example of great good coming from tragedy…thanks be to our gracious God.